Discover the distinctive character of the Albany area, from the rich history and diverse architecture to the world-class museums, local shops and friendly locals, at the Albany Airport Inn and Suites. Convenient to downtown Albany, Schenectady, Troy and Saratoga Springs, we offer easy access to a wide range of things to do in and around Albany.  When planning your stay at the Albany Airport Inn and Suites, our staff will be happy to recommend fun attractions and things to do. The New York State Capitol has served as the seat of government for New York since the 1880's. The Times Union Center is the most popular sports and entertainment complex in New York State's Capital Region. Under the leadership of the New York State Education Department, this museum and research center preserves New York State's artistic, social, historical and environmental legacies. The Mopco Improv Theatre was established in October 2016 on 10 N. Jay St. in Schenectady. The historic former firehouse underwent a total renovation and is now the Capital Region's premier hub for improv and entertainment. The Mopco offers classes, shows, and special events. Discover all the fun you can have below ground in the Caverns, or above ground in the Adventure Park featuring a Zip Line, H2OGO, Ropes Course, Rock Wall and Air Jumper for all ages and abilities! Thacher State Park is situated along the Helderberg Escarpment, one of the richest fossil-bearing formations in the world. Even as it safeguards six miles of limestone cliff-face, rock-strewn slopes, woodland and open fields, the park provides a marvelous panorama of the Hudson-Mohawk Valleys and the Adirondack and Green Mountains. Fly through the trees at Mountain Ridge Adventure! Located on top of a 1,000’ mountain only 30 minutes from Albany and Saratoga and just 10 minutes from downtown Schenectady, Mountain Ridge Adventure is the Capital Region's one and only treetop challenge course and Zip Line Park.